JD Aluminum Cleaner is a highly concentrated acid cleaner that whitens and brightens stained and oxidized aluminum. 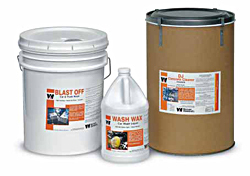 This product is specially designed for cleaning over-the-road trucks and trailers. 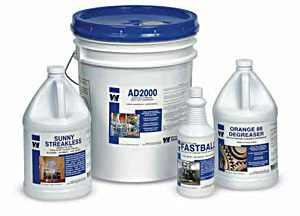 Cleans and brightens aluminum trailers, trailer rails, catwalks, tractor fuel tanks and wheels. Reduces labor by removing heavy oxidation, road film, and diesel smoke with minimal brushing and contact time (15-30 seconds). Uniformly brightens aluminum surfaces leaving a “satin” finish. Highly concentrated. May be diluted with up to 50 parts of water.